Udaipur : In a happy news for animal lovers, the Sajjangarh Biological Park here has received a new guest ‘Sushmita’ a female sloth beer. With her arrival, the only male sloth beer ‘King’ has got a partner and the number of species is expected to increase. The female sloth beer has been given to the Udaipur park by Shayama Prasad Mukherjee Zoological garden Surat in Gujarat under the directions of the Central Zoo Authority (CZA) New Delhi. 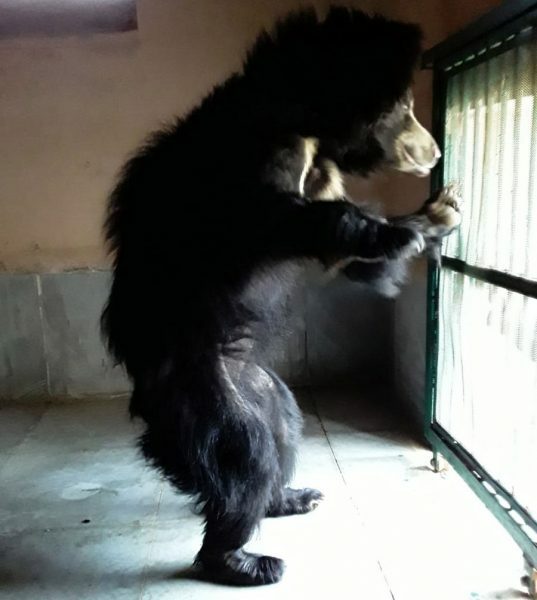 The 2.5 year old female beer is presently kept in 21 days of quarantine period and would be later sent to the display area for the visitors after the scheduled time, zoo authorities said. The new guest is being given diet as per the CZA norms. Authorities said her arrival would attract more visitors to the zoo here.